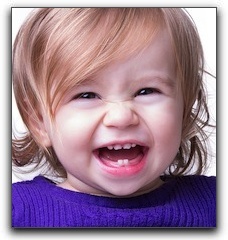 This blog post from The Lewisville Dentist focuses on baby teeth. Do you really need to take good care of something that’s just going to fall out and go to the tooth fairy? It’s a good question. The short answer is: yes. Parents shouldn’t feel like they are wasting their time caring for their baby’s teeth. The truth is that these first teeth, known as primary teeth, are more important than many people might think. For one thing, they keep the proper amount of space available for the permanent teeth that will come in later. Baby teeth are also invaluable in the development of clear speech. And, finally, tooth decay and infection can be passed down from baby teeth to the permanent teeth developing in the gums below them. That’s not what you want for the teeth that your children are going to have for the rest of their lives. At The Lewisville Dentist, in Lewisville TX, we want healthy teeth and gums for each one of our patients. Our services include family and cosmetic dentistry. Schedule an appointment for you or your children today.